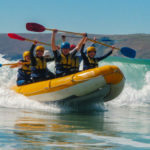 Ready for a water activity like no other? 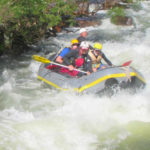 White water rafting or kayaking will have you drenched to the skin and smiling from ear to ear. 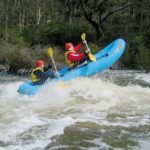 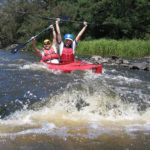 Plunge through rapids and paddle like mad in some of Australia’s best whitewater areas. 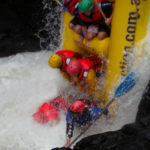 If you love adventure and don’t mind getting wet, then get ready for one of the most exciting experiences of your life. 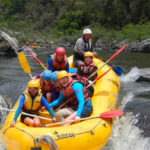 Our whitewater rafting and kayaking packages make a great gift experience and are one of the best water activities to do with friends. 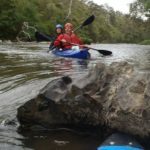 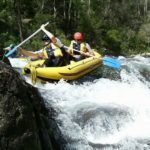 Get in your raft or kayak and go on a day trip through beautiful valleys of Western Australia, New South Wales and Victoria while you take in the scenery between the thrilling rapids. 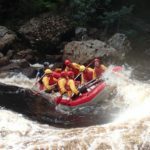 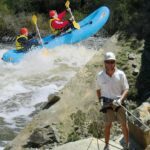 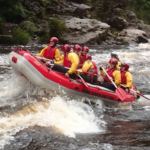 Our whitewater gift experiences are all lead by trained and qualified guides, and our rafts and kayaks are all stable and perfectly suited to the rapids; ensuring you have the best time while also staying safe. 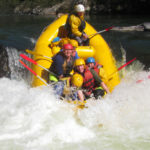 These action-packed adventures will have you holding on for dear life and screaming for joy on a tummy turning, hair-raising course. 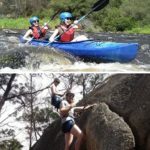 Whether you do it in a raft or kayak; Victoria, NSW or Western Australia, you’ll love every second of it!